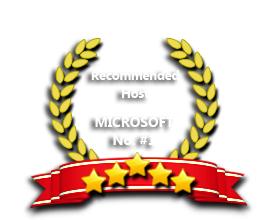 ASPHostPortal.com offers the newest Microsoft SQL 2017 database with all our hosting plans. We are your dependable SQL web hosting provider who will fulfill your needs! The first public preview of SQL Server 2017 is now available for download. SQL Server 2017 delivers breakthrough mission-critical capabilities with in-memory performance and operational analytics built-in. Comprehensive security features like new Always Encrypted technology help protect your data at rest and in motion, and a world-class high availability and disaster recovery solution adds new enhancements to AlwaysOn technology. We allow you full remote connectivity to your SQL Server 2017 Hosting database and do not restrict access in any way. Our Windows Cloud Hosting fully supports SQL Server 2017 hosting. You are more than welcome to try our Free Windows Cloud Hosting before you decide to buy. You can get your Free Cloud Windows hosting account up and running within the next few minutes.